Emigrants leaving home An emigrant family leaving their home at Odda - Siljestad, Hardanger - Norway. This photo was issued as a postcard from where this scan comes. The old postcard was never used. 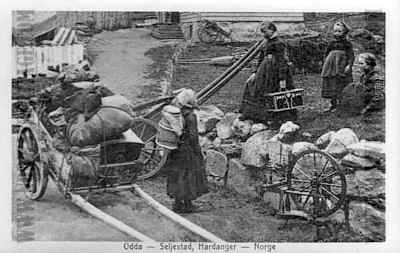 Description : An emigrant family leaving their home at Odda - Siljestad, Hardanger - Norway. This photo was issued as a postcard from where this scan comes. The old postcard was never used.